Exhaust manifold mounting kit for Stock exhaust manifolds. 24 Piece set for the Ford flathead V8 90 & 100 HP engines. 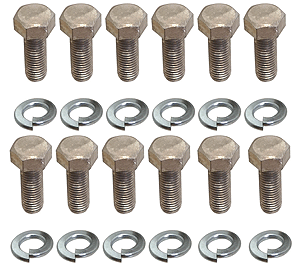 Consists of 12 hex thick-head bolts & 12 lock washers in the correct S-2 phosphate with lubricant finish.